8000 trees have been planted for wildlife! 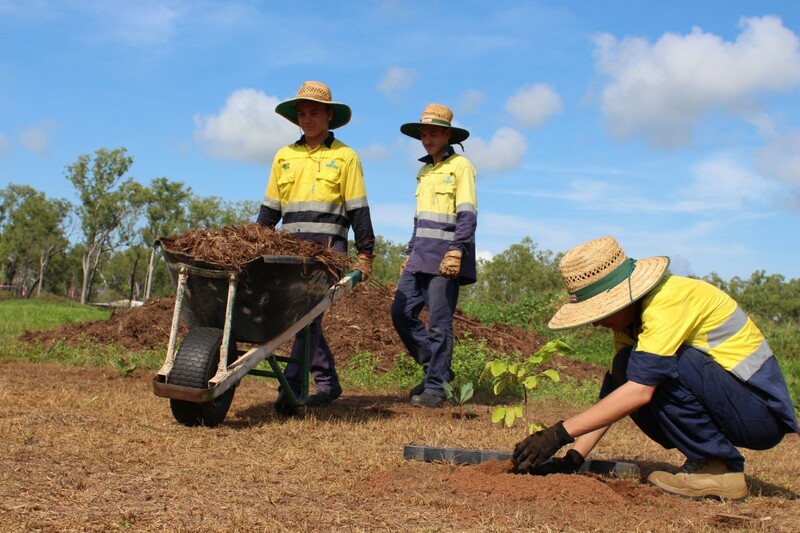 5000 trees were planted in the wet season 2016-2017 and now 3000 more have been planted so far this wet season on Land for Wildlife properties with more to be put in the ground over the next few weeks. The plants are grown by the Greening Australia plant nursery, that were chosen as a food source or habitat plant for the endangered Black-footed tree-rat (Mesembriomys gouldii), an NT native rodent which has been in decline over the last decade, and have been planted on over 20 participating Land for Wildlife properties which have cleared or degraded land. These properties are found in Darwin, Howard Springs, Humpty Doo, McMinns Lagoon and Darwin River. The program is assisted by the Green Army who have collected seed, propagated plants and planted them, as well as doing some weed management on properties involved in the enhancement program. 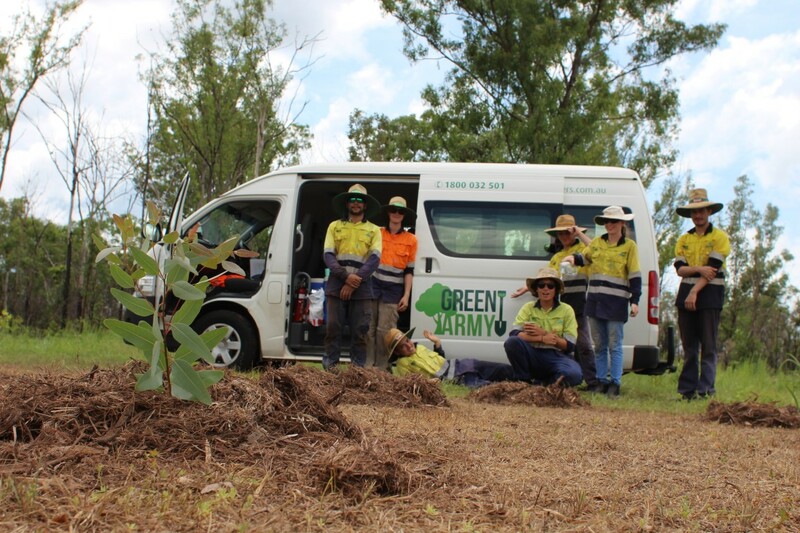 In August our 3rd Green Army team joined up and helped the program and landholders, with some familiar faces returning! Just wanted to say a huge massive thank you for all your hard work over the last 3 days on my property. I have embarked on a huge job, the weather has been very hot and humid but you have turned up every day and planted, mulched and water the plants with out complaining. Over 700 trees were planted so well done. If I can you give you one piece of advice on buying a property. Do not buy a cleared block, it’s way too much work. buy a natural block.All the best for the future. I hope you find your dream job and thank you once again for your hard work. I would like to say THANKYOU for your fantastic contributions, not only to our block in your help with mission grass eradication, but your efforts across the top end. Don’t underestimate the value of your hard work and sweat! 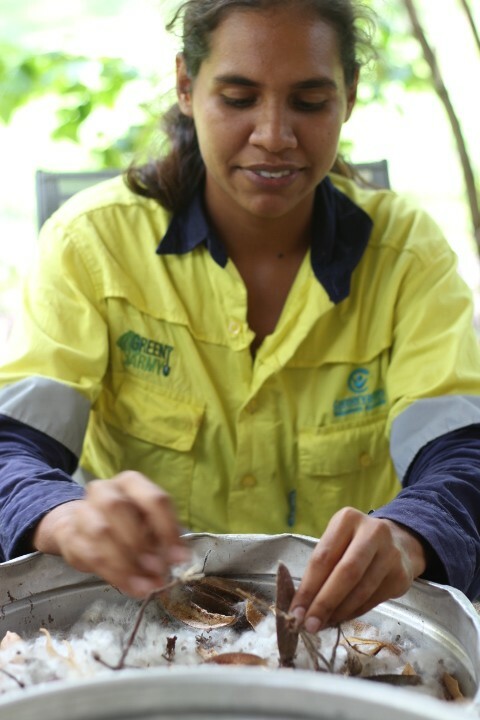 It is these efforts that have a lasting impact on ensuring high biodiversity in flora and fauna here in the NT. Whether you choose to continue in the field of land management or completely different endeavours in the future, the skills and knowledge you have gained can be used, built upon and shared with others around you to the benefit of our natural environment. I wish you all the best. Please pass on our thanks and best wishes to the Green Army Team. Their work at Leanyer Drive is really appreciated. All plants are still alive from earlier this month. Lakeside Drive Community Garden wishes to thank the Green Army for planting and watering the native trees at our site this year. We appreciate your hard work, professionalism and enthusiasm. We look forward to seeing the trees grow over the wet and maybe even spotting a Black-footed tree rat. Best wishes for 2018. Land for Wildlife Top End scoops 2 NT Environmental Awards, for collaboration and “People’s Choice”- indicating that working together is a key to success and the program is greatly supported by members, partners and friends of the program. Before I carry on I would like to say a huge THANK YOU to the supporters of the Land for Wildlife Top End program, members who are hard at work managing their land for wildlife habitat and all the partners who have made our programs possible, including the Territory Wildlife Park, Palmerston’s Mens Shed, Green Army, Leigh- Ann Woolley and the other scientists at RIEL and our funding partners. I spent some days at the Territory NRM conference, giving a presentation about our Black-footed Tree-rat program alongside 7 other amazing speakers presenting on this subject. I also presented in a Gamba grass forum about our program and shared some great examples of Landholder victories as well as their frustrations. At times when it can be disheartening working to conserve our native landscapes and inspire or others, when there is a push for development and our natural environments often seem to be low down on the priority list. It has been inspiring to attend the Territory NRM conference and see the work of some amazing people and organisations working in Land Management across the Northern Territory and I believe the strength we have is in working together and in collaboration. Our “People’s Choice” award was voted for by our members, partners, friends and supporters of the program. It obviously shows we have good support and is a great message, particularly to landholders and educational partners to keep up the great work. 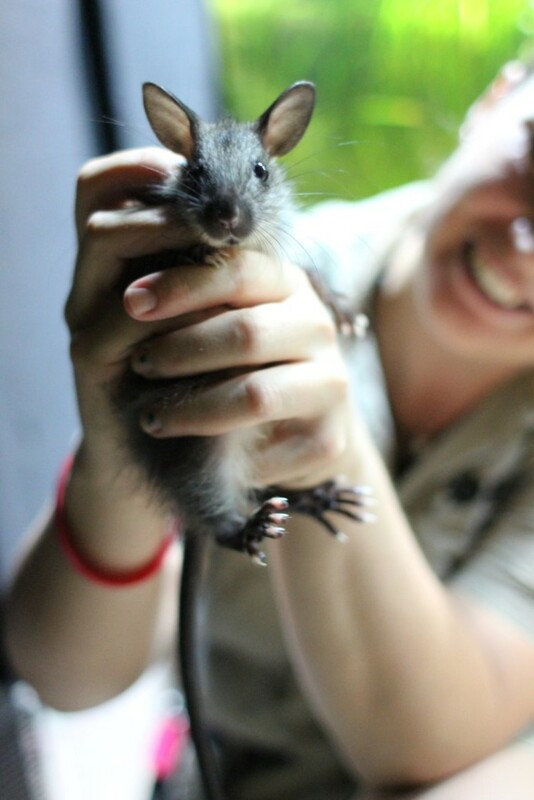 Land for Wildlife Top End has scooped up two environmental awards. 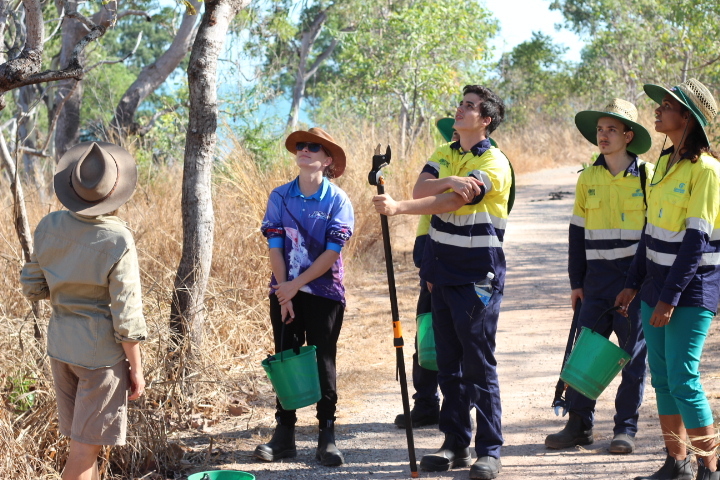 The program was awarded “Australian Government Partnerships for Landcare” award in the NT Landcare Awards and “People’s Choice Award” in the Territory NRM Awards, where the program was a finalist in the “Collaborations in NRM”. The People’s Choice was voted upon by the public and our program was awarded it, we received huge support from members, partners and friends of the program. If anything this is a great message that the work of landholders and educational members is greatly appreciated, and the small amount of work by many is important, especially as Darwin expands and more bushland is developed. So keep up the great work, and we will keep telling the story and inspiring others. Let us spread the message to everyone that our native wildlife is important and amazing. 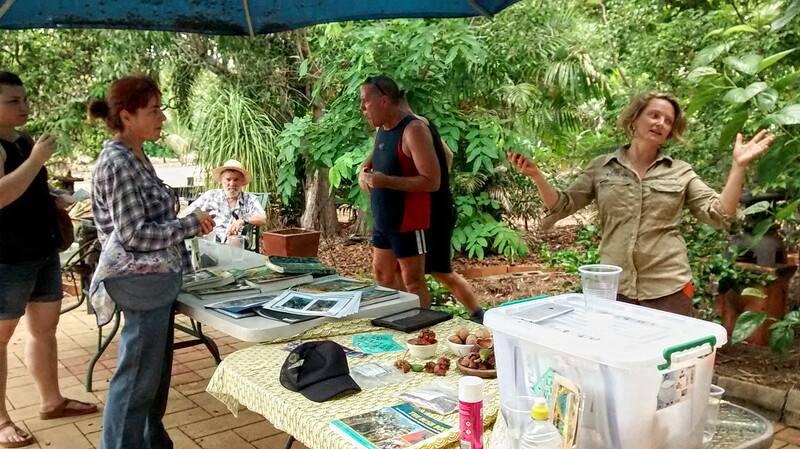 Land for Wildlife is a voluntary conservation program, supporting landholders to provide wildlife habitat through nature conservation, land management and promoting wildlife awareness and education. Land For Wildlife Top End is managed by environmental NGO Greening Australia. The program is run throughout different regions in Australia, managed by various organisations. A growing number of landholders are joining the program which already has a diverse group of over 250 member properties covering 8,000 hectares of land in the greater Darwin region and into the Katherine area. 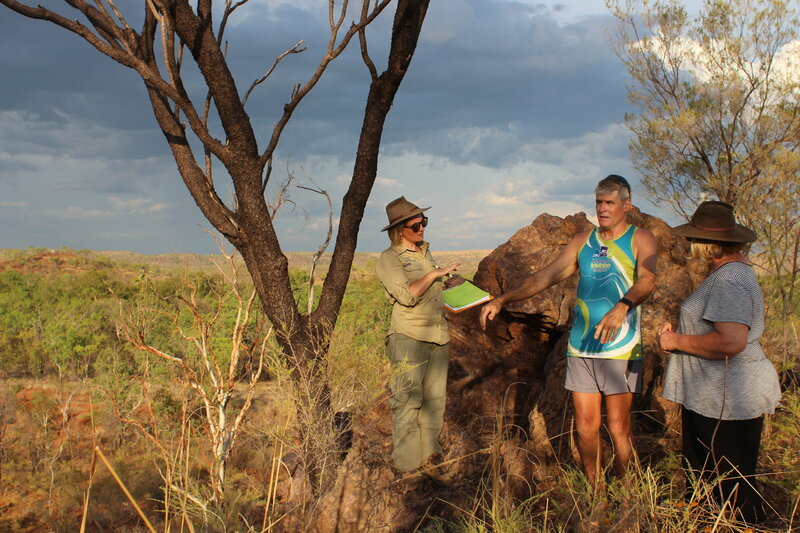 The program has been expanding its work with other organisations to enhance land management outcomes with its members, to inspire and engage the greater community to appreciate and conserve wildlife and to mutually benefit other organisations. 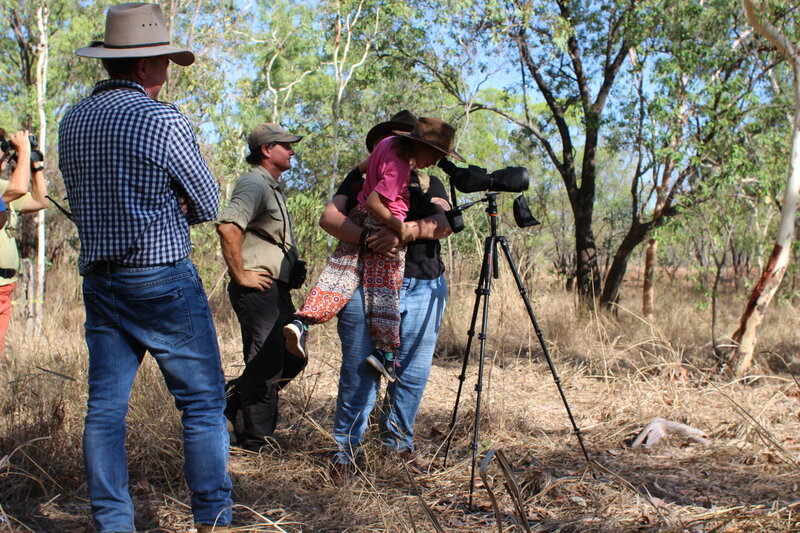 The power of collaboration enhances the overall effectiveness of habitat conservation and wildlife awareness objectives in the Top End utilising field experts to provide educational workshops and projects to engage landholders. A recent focus on the enhancement of habitat for arboreal mammals, particularly the black-footed tree-rat has helped landholders and educational members install 150 nest boxes and plant over 5000 plants as food and habitat to provide benefits to this endangered species. Collaborators in these programs have included the Green Army (through Conservation Volunteers Australia), The Palmerston’s Men Shed, Researchers from RIEL at Charles Darwin University, specialists at the Department of Natural Resource Management, The Territory Wildlife Park, Remote Area Tree Services, Bush Fires NT and NTFRS, Landcare NT and of course the many landholders involved, including 3 primary schools, a reserve, and a Scout Camp. The program is supported with some funding from Parks and Wildlife Commission Northern Territory and more recently has been able to carry out focused programs on enhancing habitat for the threatened Black-footed Tree-rat, installing nest boxes and planting trees with Land for Wildlife members with funding from Territory NRM and the Federal Government’s 20 Million Tree Program. Land for Wildlife Top End was awarded for its collaboration with its landholders and partners with the ‘Australian Government Partnerships for Landcare Award’ for the program (NT Landcare Awards), as well as the “People’s Choice Award” in the Territory NRM Awards, in which the program was a finalist in “Best Collaboration in NRM Award”. “These awards are a real acknowledgement of the work and key role our dedicated members play. It is ultimately because of them that Land for Wildlife is such a success. 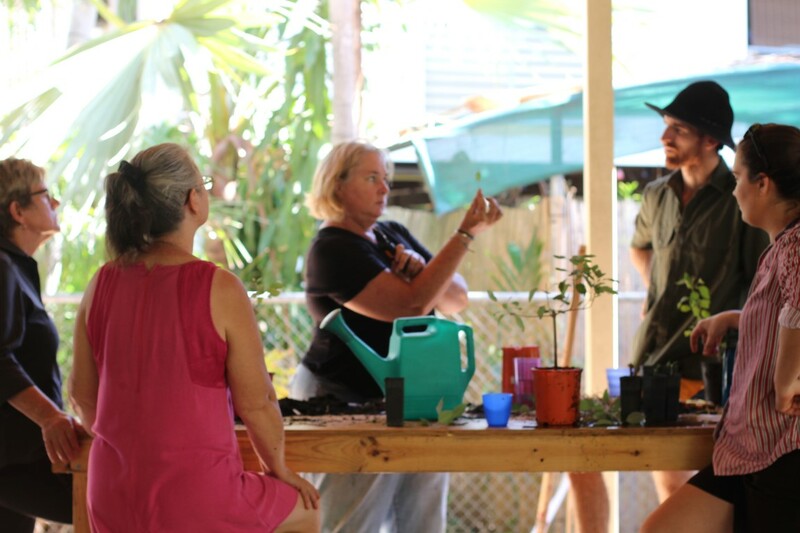 This program is a great example of how collective impact can achieve real and lasting change, and is well supported by landholders, partners and friends of the program” says Emma Lupin, Land for Wildlife Top End coordinator. 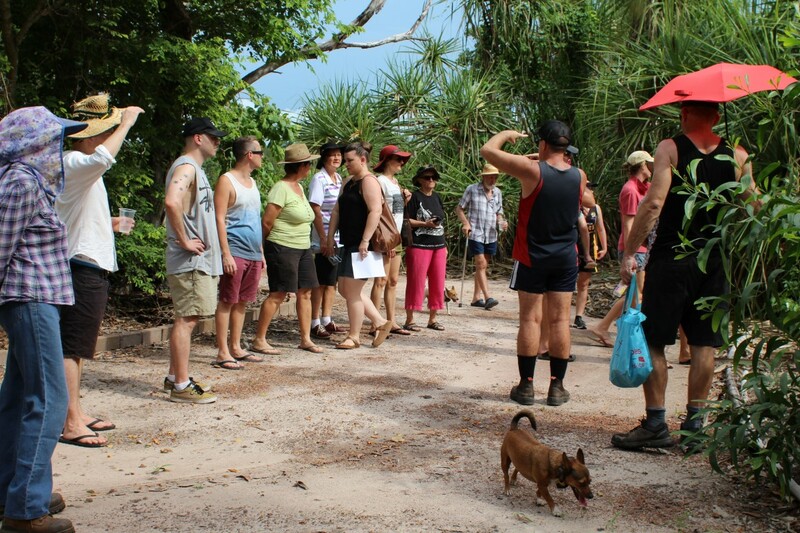 Land for Wildlife Top End is becoming increasingly important as wildlife habitat around Darwin is lost to development and remaining tracts of key native habitat is owned by private landholders. 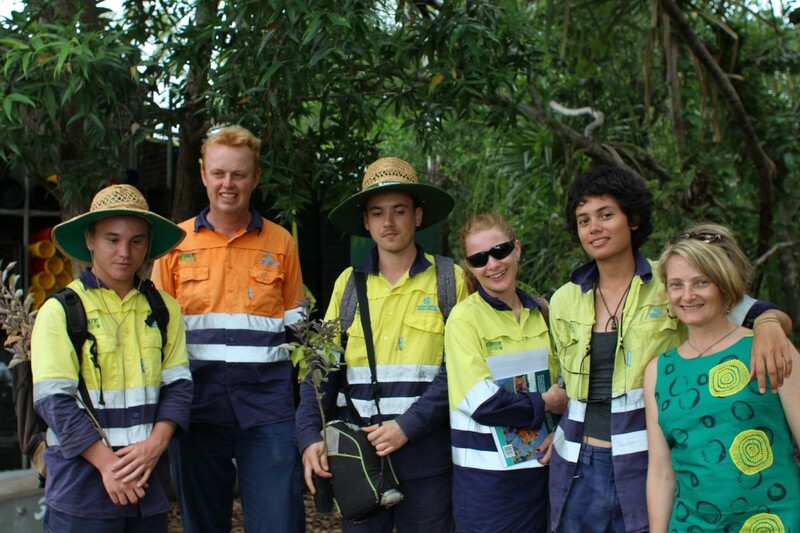 Greening Australia is seeking additional funding to expand Land for Wildlife Top End to meet the growing demand. For more information contact Emma Lupin, coordinator of the program at Greening Australia on landforwildlife@greeningaustralia.org.au or 0448 214 716. At the Awards night with Land for Wildlife Central Australia. 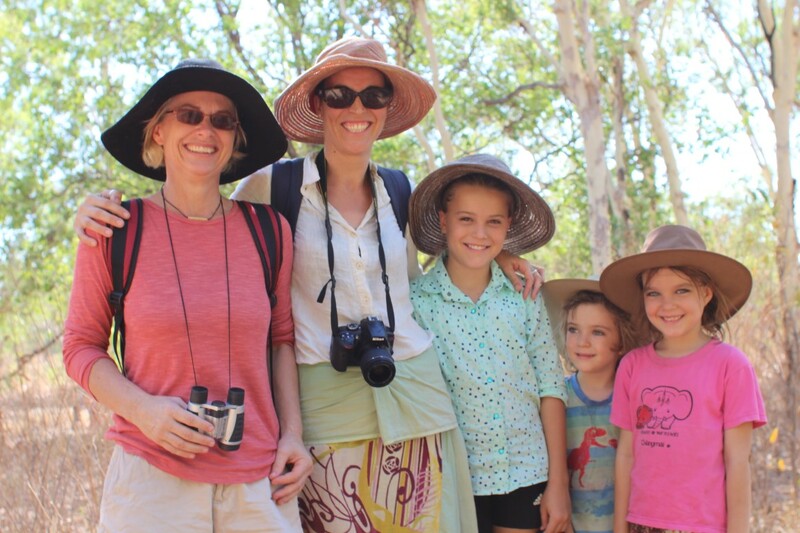 L to right- Land for Wildlife member Jo-Anne Scott, Land for Wildlife Top End Coordinator Emma Lupin, Land for Wildlife project officer and coordinator, Candice and Caragh from Alice Springs. Photograph from Territory NRM Award night. 140 of our nest boxes are up in trees on Land for Wildlife properties from Darwin to Katherine! They are hoping to attract our Black-footed Tree-rats and food plants for them are also being planted on each nest box property. After our fantastic workshops, members have been busy painting and installing the boxes. Boxes have also been installed at 3 schools- Girraween Primary, Howard Springs Primary School and Milkwood Steiner School. Some members got friends and family together to install the boxes and soem even got a little help from Emma. And then, the next exciting part has been checking out the boxes with our new especially designed nest box camera, with the help of the landholders and our Green Army team who are learning about surveying. So far we have not caught any mammals live on camera but we have got Eucalyptus leaf nest material (very likely to be from the Black-footed Tree-rat), droppings that look like those of the Black-footed Tree-rat and some small identified fluff balls (to be sent for analysis). We have also found some other gatecrashers using the nest boxes, including many geckos, grasshoppers, spiders and European honey bees. Check out this amazing (non native) bee colony that took up a nest box at Alison and Mike’s property in Humpty Doo, and then moved on. So no live pictures of our Tree-rat friends but evidence of some and sightings from landholders of BFTRs outside the nest boxes! We are hoping to hear about motion sensing cameras we can lend to our landholders soon and will be checking on the boxes in 3 months time! All the data is being collated as well as a map of the location of every nest box! Now we will wait and see if anything moves in over the next few months, while our Green Army are busy planting 15, 000 trees for the Black-footed Tree-rat ! (yes 15, 000) on Land for Wildlife Properties.